Innovative vertical design keeps the arm in a comfortable, more neutral and natural "handshake" position. Uses larger muscles to move mouse, reducing risk of discomfort. 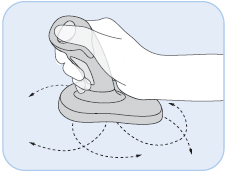 Left and right click functions using the thumb button on the top of the vertical grip. This mouse is clinically proven to alleviate pain and discomfort of repetitive stress injuries in the hand, wrist or arm associated with the use of traditional mice - which requires forearm pronation and may cause pressure on the wrist and carpal tunnel area. The 3M Ergonomic Mouse has earned an Ease-of-Use Commendation from the Arthritis Foundation for its patented, vertical grip design that keeps your hand and wrist at a neutral angle, while the mouse works as a regular optical mouse. Grip the handle and rest your hand on the base. Use your thumb to left and rightclick. 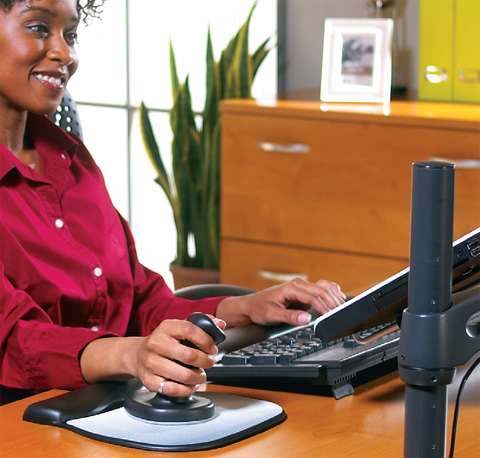 3M Ergonomic mouse allows you to work easily and comfortably for hours by keeping the hand in a neutral position. 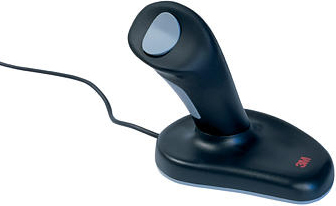 Compatible using any computer with a USB port (USB connector with PS/2 adapter). 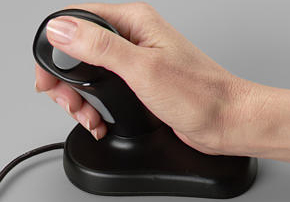 The 3M Renaissance Ergonomic Mouse is a new, ergonomically designed input device that helps reduce stress to the nerve in the carpal tunnel and to the muscles in the user`s arm. It has also been shown in clinical trials to reduce discomfort for computer users. Unlike the traditional palm-down posture of most input devices, the "handshake" design of the 3M Renaissance Ergonomic Mouse has been clinically proven to reduce the muscle strain and discomfort associated with carpal tunnel syndrome and repetitive stress injury. Users can choose the size of the Ergonomic mouse most appropriate for their hand and can work both easily and comfortably for hours. 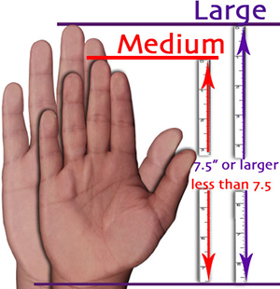 The unique, ergonomic “handshake” grip design has been clinically proven to reduce muscle strain and discomfort from pressure on the wrist’s median nerve (alleviate discomfort associated with carpal tunnel syndrome and repetitive stress injuries). Enhances your comfort by keeping arms and shoulders in a more relaxed, neutral position. For right-hand use.